Currently Crushing On: Pink Flamingos! So — I thought it might be fun to start sharing the things that I'm currently crushing on. For instance, things that might fall outside the realm of weddings, and parties! Because it never seems to fail, you guys! Every few months, I start sort of obsessing over something new. Last month it was polka dots on everything, and this month? Well, this month it's flamingos! I know, I'm a total dork. But is anyone else with me on this? Or am I the only one? Flamingos are just so fun. And especially fun for Summer! Flamingo print bathing suits! Flamingos on your beach totes! Flamingo flip flops? Need I say more? 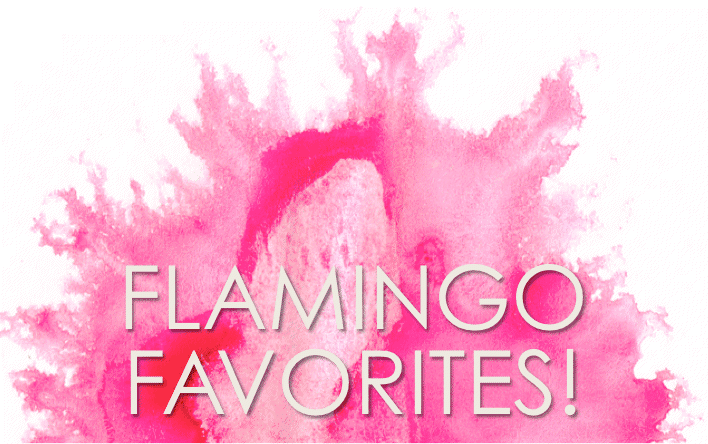 See my flamingos faves below! 1 One Comment " Currently Crushing On: Pink Flamingos! " No your not the only one, flimingos bring me to my happy place. Ever since my daughter gave my granddaughter for her 1st Birthday a Flamazing Birthday Party. I’ve been hooked ever sense.